Mom likes football, but only watches the Packers. She’s not big into sports but said she really enjoyed Candee Fick’s novel, Catch of a Lifetime. She must have because she stayed up late reading it instead of snuggling with me for sleep. Cassie has come to Colorado from Alabama, but not with a banjo on her knee. More like with a weight of sorrow and unforgiveness in her heart. She’s going to be an athletic trainer but is dismayed to find out that she has to work with football players. Initially Mom didn’t know why this was a problem for Cassie but it does get revealed later in the story. Reed lost his career in football to an injury so now he’s coaching but this is his first job and his best player isn’t doing well in academics. Cassie has to be the bearer of the bad news and the one to tutor the guy. Reed soon realizes she has her own lost dreams and is really good at what she does in helping players recover from injuries. Pretty soon he think he might wanting more of a relationship with this young woman, but she’s a student and employed by the department. A higher authority gives him permission as long as they keep it hush-hush. Not an easy thing to do. Challenges abound as the season wears on and love grows. Disaster strikes but God brings some wonderful things out of that including proof that the hard work Reed has done in instilling values and integrity in the majority of his players proves that some things are more important than winning a game. Faith plays a key role as well and is woven in seemlessly. Because Mom couldn’t put the book down and finished in less than 24 hours, it earns a five bone rating. Because I’m a dog. I don’t do stars. Melissa Tagg has scored a field goal with her newest offering, From the Start. Kate Walker may write romantic screenplays but a broken heart in her past leads her to believe that happily-ever-after is a dream she’ll never achieve. When her career hits the skids she runs back to her hometown of Maple Valley to help out with the aftermath of a tornado. Colton Greene managed to sideline his own rising star on the football field with one disasterous play leaving him physically unable to return to the game that made him a star. He’s haunted by flashbacks he can’t understand as he tries to work with Kate to write his autobiography. Maple Valley becomes a safe place to heal and sort out his next steps in life. 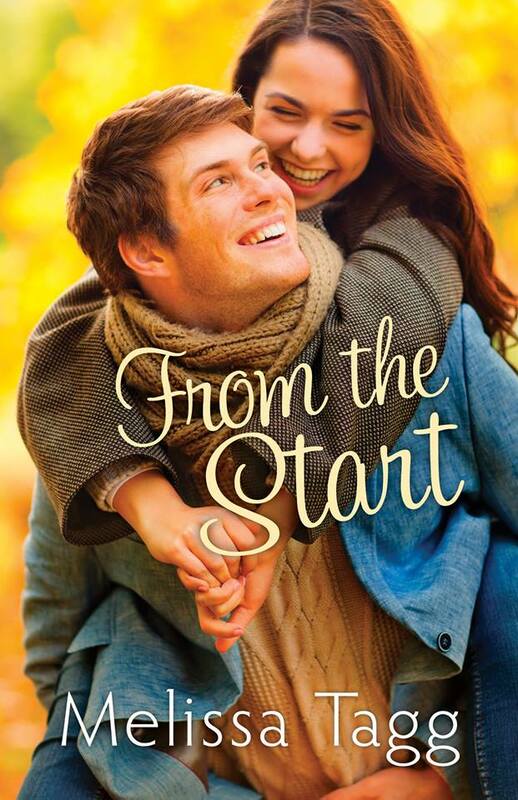 Neither Kate or Colton were looking for love and direction for their lives and Maple Valley is the flash point for a budding friendship and romance. With starts and stops, working together and time apart, they realize the depth of their love. It’s happily-ever-after you’ll enjoy reading.